VANKLEEK HILL, ON – Beau’s All Natural Brewing has announced that one of its most popular seasonal brands will be available across the country for the first time when it returns for its annual run this autumn. A fall classic, Märzen suits the season perfectly. Munich malts contribute a satisfying bread and biscuit character, and German perle hops lend balancing bitterness; a super-clean lager finish completes the package. 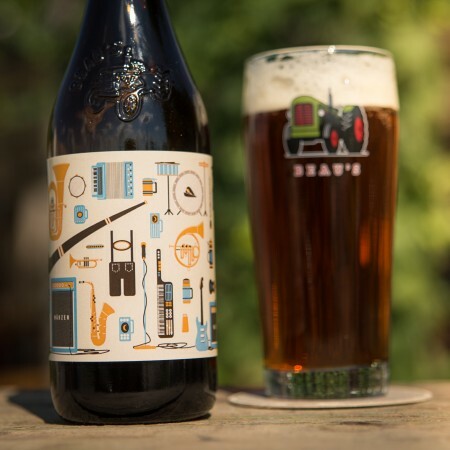 Beau’s Farm Table Märzen will be available this autumn in Ontario, Québec, British Columbia, Alberta, and New York State in 600 ml bottles and on draught; and in Manitoba, Nova Scotia, and New Brunswick on draught only.